This Marquise diamond is 0.41 carat in weight, and comes with Excellent polish and Very Good symmetry, as verified from an independent gemological laboratory. The diamond is graded I in colour, and has a clarity grade of VVS2. The diamond's GIA grading report number is 1305535398, which will detail further its specifications and measurements, and will also come with the purchase of the stone. This Marquise diamond is 0.31 carat in weight, and comes with Excellent polish and Very Good symmetry, as verified from an independent gemological laboratory. The diamond is graded F in colour, and has a clarity grade of VVS2. The diamond's GIA grading report number is 6292577043, which will detail further its specifications and measurements, and will also come with the purchase of the stone. AUD 14,272 Excl. Duties / Taxes. This Marquise diamond is 1.23 carat in weight, and comes with Good polish and Good symmetry, as verified from an independent gemological laboratory. The diamond is graded D in colour, and has a clarity grade of VVS2. The diamond's GIA grading report number is 10885504, which will detail further its specifications and measurements, and will also come with the purchase of the stone. AUD 4,407 Excl. Duties / Taxes. 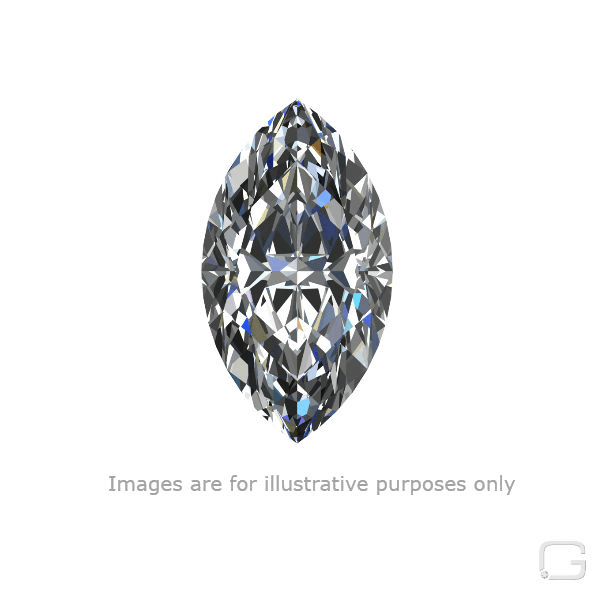 This Marquise diamond is 0.73 carat in weight, and comes with Good polish and Good symmetry, as verified from an independent gemological laboratory. The diamond is graded F in colour, and has a clarity grade of VVS2. The diamond's GIA grading report number is 5171448858, which will detail further its specifications and measurements, and will also come with the purchase of the stone. AUD 1,954 Excl. Duties / Taxes. This Marquise diamond is 0.48 carat in weight, and comes with Good polish and Very Good symmetry, as verified from an independent gemological laboratory. The diamond is graded D in colour, and has a clarity grade of VVS2. The diamond's GIA grading report number is 2297324427, which will detail further its specifications and measurements, and will also come with the purchase of the stone. This Marquise diamond is 0.55 carat in weight, and comes with Very Good polish and Good symmetry, as verified from an independent gemological laboratory. The diamond is graded E in colour, and has a clarity grade of VVS2. The diamond's GIA grading report number is 6137546297, which will detail further its specifications and measurements, and will also come with the purchase of the stone. This Marquise diamond is 0.31 carat in weight, and comes with Very Good polish and Very Good symmetry, as verified from an independent gemological laboratory. The diamond is graded F in colour, and has a clarity grade of VVS2. The diamond's GIA grading report number is 6291568942, which will detail further its specifications and measurements, and will also come with the purchase of the stone.